Video making rounds now on the socila media shows singer, Timaya dancing with his newborn son, Emmanuel. The singer shared this adorable video of himself dancing with his son Emmanuel to his latest song ‘Bam Bam’ featuring Olamide. Hey Buddy!, I found this information for you: "[VIDEO] TIMAYA DANCING WITH HIS NEWBORN SON, EMMANUEL". 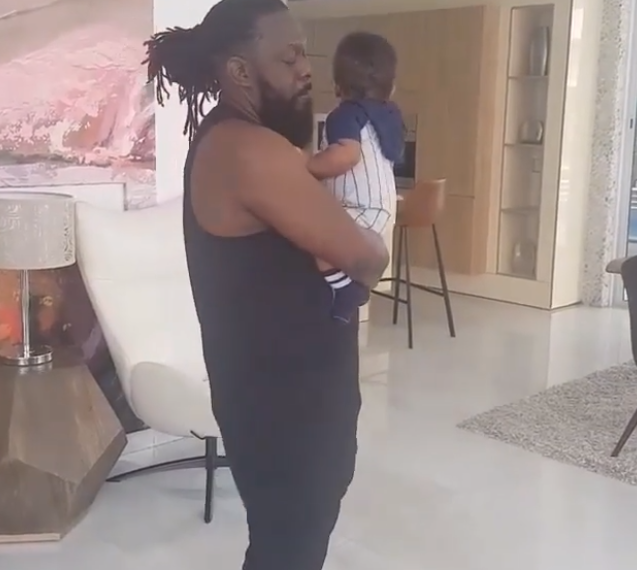 Here is the website link: https://360kwado.com/video-timaya-dancing-with-his-newborn-son-emmanuel/. Thank you.